Spectator scored this spectacular sparkler 90 points. 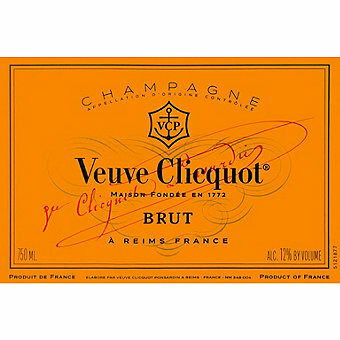 One the most popular Champagnes in the world, Veuve Clicquot is consistently first rate. Recently the Wine Spectator wrote about Veuve Clicquot Yellow Label Brut "The goal is to make a Champagne that replicates the house style, while also delivering balance, finesse and complexity." Clicquot's chef de cave Dominique Demarville and his team blend up to 500 base wines to make a final cuvee that is as exceptional as it can possibly be. Spectator scored this spectacular sparkler 90 points and said "Hints of toast and biscuit accent lightly honeyed flavors of quince, apple blossom and peach in this fresh and balanced Champagne. There's a stony underpinning, with a smoke-tinged finish."